Every minute counts. It’s a philosophy that can be applied to all areas of life—particularly to exercise and fitness. Whether you have 10 minutes or a full hour to devote to physical activity, making the most of that time is essential to achieving the results you want and staying motivated along the way. Of course, how you choose to spend those minutes will also determine how enjoyable (or grueling) they feel. If you hate the treadmill, half an hour will feel like half a day. Similarly, doing the same exercise for an entire workout, day in and day out, could be a recipe for burnout (not to mention the fact that it's an ineffective way to work your body). Enter the EMOM workout. 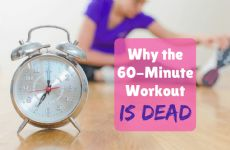 Short for “Every Minute on the Minute,” EMOM essentially involves doing a fixed number of reps of one exercise for a 60-second period, then moving on to the next exercise. If the reps are completed in less than a minute, the remaining time can be used for rest. As personal trainer Cheryl Russo explains, EMOM workouts are a form of high-intensity interval training (HIIT). 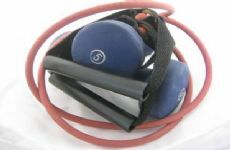 “Physically, it is beneficial because, when doing a cardio EMOM, it can push you into an anaerobic state, which will improve aerobic capacity and create an EPOC effect. [EPOC can] increase metabolism and helps to burn calories for hours after the workout is complete,” she says. As each minute has its own assigned exercise, you simply perform the prescribed number of reps and then rest until the minute is up. It’s a great option for people who like having a structured routine and don’t want to have to come up with new moves on the fly. You can track your weakness areas and improvements. 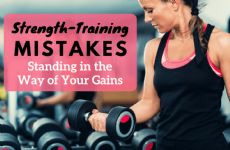 Paul Searles, a certified strength and conditioning coach with Sports Science Lab, points out that EMOM workouts help you pinpoint areas of aerobic weakness that may be in need of improvement. On the other hand, if a set of reps initially took 40 seconds and a week later only takes 35 seconds, you can tell you’re improving. This makes EMOM an effective system for tracking progress. Searles points out that the EMOM format is a rough guideline that can be applied to any type of workout. “You can work on any area of the fitness spectrum that you enjoy or need to improve upon, such as power, strength, aerobic and technical skills,” he notes. 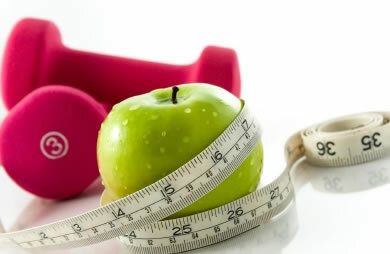 Plus, as ACE Fitness points out, EMOM workouts are also easy to adapt to any fitness level, from beginner to advanced. They’re ideal for busy schedules. 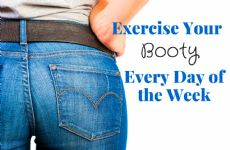 For those days when you can’t spend hours in the gym or fit in a full-length fitness class, you can squeeze a short yet effective EMOM workout into whatever time you have available. With so many bodyweight moves out there, you can also do it anywhere that’s convenient, from your living room to your backyard. As Searles points out, repeating the same exercises for a larger number of sets with appropriate rest allows you to push the threshold of fatigue—which is a good thing. When doing this, though, it’s important to maintain proper form to ensure that you’re activating the appropriate muscles. “During fatigue, if you can keep good form as best as possible, it will help to decrease the likelihood of injury, prolong the ability to keep moving the right way, and prevent you from resorting to compensatory movement patterns that may eventually cause pain or injuries,” he explains. Don’t increase the rep count too much. While it’s fine to adjust the reps a little higher as you get stronger, you don’t want to increase them to the point that it takes the entire minute. In an EMOM workout, there should always be at least a little rest time in between sets. Use your rest time wisely. If you’ve completed the prescribed number of reps before the 60 seconds is up, listen to your body’s cues to determine how to best use the remaining time. If you’re feeling very fatigued or winded, take full advantage of the break to recover. But if you feel like you don’t need the full rest, incorporate some light, low-impact movement while waiting for the next set. 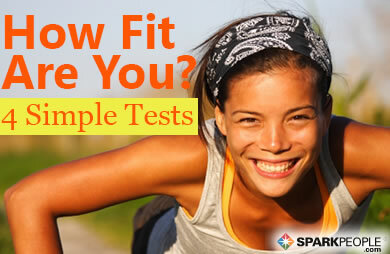 Searles from Sports Science Lab created this quick EMOM routine exclusively for SparkPeople. Stand holding a light kettlebell or dumbbell close to your chest, with feet shoulder-width apart. This will be your starting position. Squat down until your thighs are parallel to the floor (or as close as possible). Keep your chest and head up and your back straight. At the bottom position, pause and use your elbows to gently push your knees out. Push through the heels to return to the starting position. Repeat for 10 reps within 60 seconds. If you finish early, use whatever time is left to rest and recover. While holding a light kettlebell or dumbbell, stand in a split stance with one foot in front of the other. Hinge back to get your back as close to parallel to the ground as possible. Pull back from the shoulder and squeeze the upper back to raise the dumbbell up toward the ribs. Lower your arm back to the starting position. Repeat 10 times on the same arm, then switch to the other arm and other stance. If you finish early, use whatever time is left to rest and recover. Stand holding a light kettlebell or dumbbell with both hands, with feet shoulder-width apart. This will be your starting position. Drive your hips in to stand up straight. Begin in a plank position, with your hands below your shoulders and your back parallel to the ground. Keep your elbows over your wrists as you lower your body until your chest is an inch or two from the ground. Lower your knees to the ground if needed. Keeping your body in a straight line, slowly push yourself back up. Holding a pair of light dumbbells, start with the elbows at 45-degree angles out to the side and feet shoulder-width apart. Press the weights up, trying to get your elbows toward your ears without arching your lower back. Have you ever tried an EMOM workout? Would you like to include this format in your fitness routine? I have been coming here for about a month and surely sense the difference. The running shoes are excellent, attentive, and preserve you on factor. i have never labored with a trainer in years and that i really enjoy this. 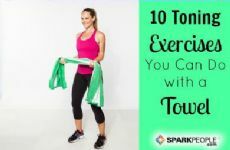 The Towel Workout Makes Toning Easy!